We are very happy to be reopening the Jubilee rooms and being able to move people indoors and into safer and more secure accommodation than they’ve had for a long time. At the opening a number of people wanted to know why we’re excited about this new project. 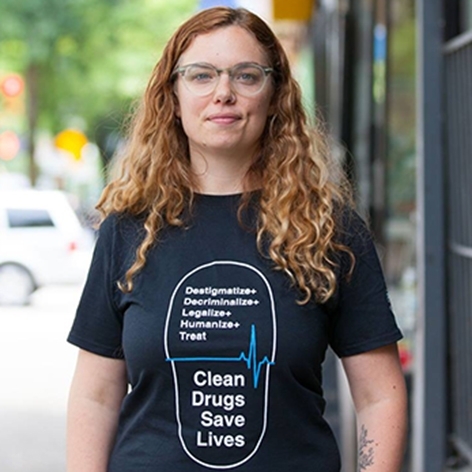 “When people move indoors, and they’re connected to services, we see things like a reduction in emergency visits to hospitals, we see more connection to family supports, we see more connection in terms of reduction in isolation that people feel when they’re living outside.” Amelia Ridgway, one our Associate Directors at RainCity. This building will have 80 tenants and is a combination of two Single Room Occupancy hotels – often called SRO’s – that are four stories each with no elevator with shared bathrooms and showers on every floor. All referrals will go through BC Housing’s Supportive Housing Registration Service. Many of the tenants have called this neighbouhood home for a long time. Now they have a place in this community where they can feel a little safer and make intentional strides towards long term goals. All 80 tenants receive support from a staff team made up by a combination of Tenant Support Workers, Indigenous Cultural Liaison Workers and a Peer Specialist. One meal a day is provided and there is a safe use room as part of our Peer Witness Program.